My beat this year is all about exploring how students can write their way INto texts and use their writing (or others’) to learn more about literature. If you’re looking for new ways to use writing in a literature study or hoping to blend writing workshop into a course where it doesn’t seem like a workshop should fit, then this beat is for you! I’ve written before about how I draw a lot of teaching inspiration from museums (and I’ve learned from some really brilliant people who draw teaching inspiration from museums). Just a few weeks ago, during my spring break “staycation,” I had another light bulb moment while walking the halls of Fresh Paint, a new exhibit at the Museum of History and Culture that’s just a few blocks from my house. In the exhibit, artists blended the traditions of the city’s past with one of its most exciting traditions of the present, street art, by painting murals that reflected or questioned the legacy of some objects in the museum’s collection (here’s a video that’s part of the exhibit for more information). Each mural was accompanied by the artist’s brief explanation of how the object[s] inspired their mural and what they hoped their murals might communicate. As I marveled at the murals, I wondered how my students might create something like the murals in writing. I flashed back to last spring break and a trip to the National Museum of African American History and Culture that inspired the post I’ve linked above. Last year, students explored the NMAAHC’s amazing digital collection as a pre-reading activity for August Wilson’s play Fences, but I wondered if instead we could explore the collection after reading. What connections could students make between the stories behind a Charles “Teenie” Harris photograph or a postcard of a plaque commemorating the baseball career of Judy Johnson and the story of Troy Maxson and his family? How did they see the play differently when they looked through the “lens” of a small piece of history? And so a new way of “writing our way in” emerged. As we finish our study of Fences, students are creating digital exhibits, small sets of slides that juxtapose a museum object with quotes from Fences. Each exhibit is accompanied by a “curator’s note,” a longer analysis of how their selected objects illuminate the play. When I first introduced the project, I explained what inspired it and noted that the comparative thinking students would perform when linking their museum objects to Fences is similar to the reasoning they will employ on one of their IB exam papers next month. I shared a sample set of exhibit slides and my brainstorming outline for a future curator’s note. I also shared a few pictures I had taken inside Fresh Paint so that students could see how the muralists selected objects, created their murals, and explained the murals in their artist’s notes. My seniors were willing to set aside a previous menu of summative writing options for this new challenge, but they were still a little apprehensive. They wanted a mentor text for a curator’s note, so I promised that I would write an example by the end of the week. I don’t like to use my own work as a mentor text very often because I think doing so sometimes makes students feel like they have to follow my writing exactly rather than take inspiration and run with their own voice and ideas, but because this assignment was new and very different from what they’ve written before (and because I still wasn’t exactly sure what a finished product might look or sound like–just that I expected students to blend literary analysis with object analysis and a bit of historical research) I sat down to write a draft of my curator’s note during one of my prep periods. I had my brainstorming notes, I had new knowledge from research I’d done to create my example exhibit, and I was confident I could finish my example curator’s note during that prep period. It’s one thing to recognize the wisdom of Penny Kittle when she says “Write Beside Them.” It’s another thing to live that wisdom by floundering in an attempt to write beside my students. But I kept writing. I linked my in-process draft to Google Classroom so that students could check it out as it developed, and I chipped away at it throughout the day. I wrote and rewrote sentences. I added quotes and took them out again. I followed a slight historical detour and then navigated my way back to my original path. Two days later, I was done. With a draft. It’s definitely not perfect, and I definitely feel vulnerable presenting it as a mentor text. And though I’ve had these nervous feelings before, and I’ve drafted examples before, it was still so valuable to feel those feelings–the frustrations and challenges and satisfaction–all over again. I discovered new ways to frame the question of the task, and I recognized new opportunities that it presented. I gained more compassion for the students who are trying to sandwich some really complicated writing and thinking between filled-to-the-brim school days and exhausting athletic practices, and I understood how daunting the abstract thinking and connecting might feel to those students who are still just trying to wrap their brains around the play. Of course, as I write this, I realize I could have done some more internet scouring to gather actual curator’s notes from museums (and I will do just that in a moment), but I’m glad I took the time to write what I was asking my students to write. I don’t always have to use my writing as a class example, but I should write beside my students more often. I knew that this digital exhibit assignment would be an opportunity to learn together–students’ searches for objects have already taught us all much more about the daily lives of African Americans in the 1950s and the legacies of African American artists who should be household names–but I didn’t realize what I would re-learn about writing, and I’m so grateful for the lesson. When did you last write beside your students? Tried any classroom experiments that you would like to share? We’d love to hear about them on Twitter @MsJochman or in the comments below. 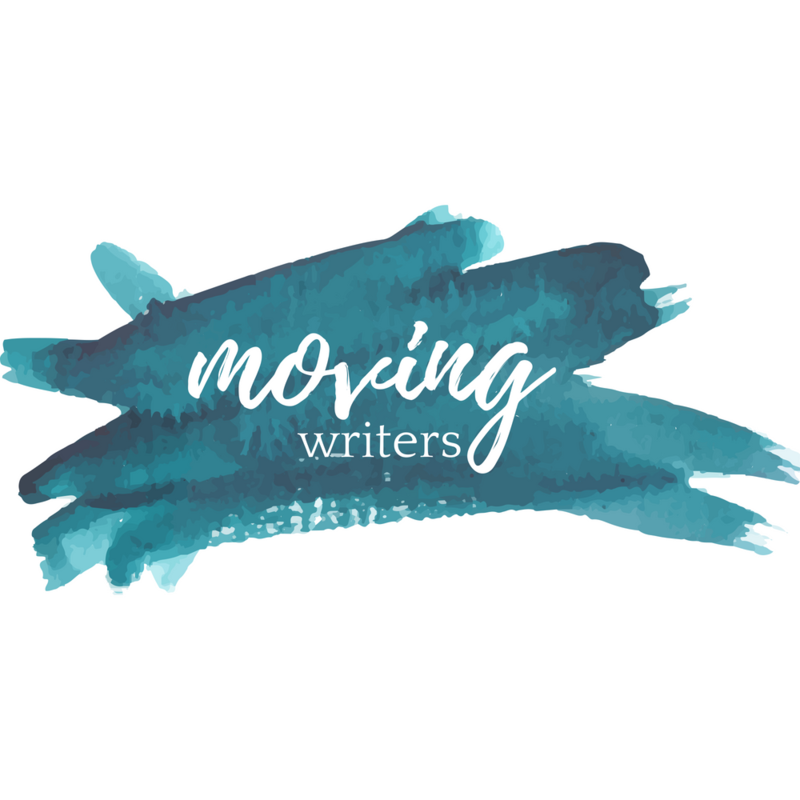 And please share your questions for future Writing Our Way In posts through the survey below.